Being unique in today’s online gambling scene is not an easy job. We’re sorry to say that most of the online casinos we review look just too alike each other, and it’s not just about the visual resemblance. Some casinos that operate under certain brands have the same bonuses and game library, which isn’t anything to be proud of. On the other hand, there are some casinos which have put in a lot of work and are truly unique. Take Deluxino casino for example. Launched in 2019, it is one of the many casinos owned and operated by Cassava Enterprises. The management firm is known for its 888 brand and also manages casinos such as Arcade Spins, Wicked Jackpots, and Winzino casino. Deluxino casino is the latest casino in Cassava’s line-up and quite possibly one of the best. 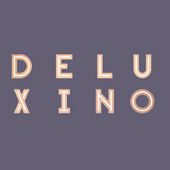 With a simple, yet stylish theme, Deluxino will appeal to new and experienced players as well. The casino is licensed by the Gibraltar Gambling Commission and the UKGC which means it’s a safe and reliable operator. The high-end gaming site as it proudly calls itself is home to more than 300 slots and a variety of bonuses and promotions. Furthermore, it’s unique from another aspect – unlike other operators, all free spins at Deluxino Casino come with no wagering requirements at all. All the games in Deluxino’s library are top-notch as they are provided by the best game studios in the industry. You can find games from Thunderkick, Quickspin, Microgaming, NetEnt, and NextGen among others, meaning you can expect a lot of spinning action. Completely focused on slots, the game lobby at Deluxino offers more than 300 titles. You can either play the newest additions or enjoy top-rated hits such as Dracula, Vikings or Quickspin’s speedy The Wild Chase slot. There’s definitely something for everyone. No matter if you’re into classics or modern titles, Deluxino casino’s game lobby offers plenty of fun. Another great thing about the game library is that it offers jackpots. It’s not the biggest collection we’ve seen on the internet, but there are quite a few jackpots that offer enticing prizes. If you want our recommendation, the Divine Fortune or Fluffy Mega jackpots are worth giving a spin. Sadly, there’s no trace of table games. No live games either. If you’re a poker or blackjack fan or want to experience the unique atmosphere of live dealer games, no luck at Deluxino. It’s definitely a missing feature and something the casino should fix in order to compete with the best. Deluxino casino accepts a variety of payment methods for quick and simple deposits. You can use Visa and MasterCard as well as numerous e-wallets, including EntroPay, Paysafe Card, Neteller, and PayPal. Although it’s more than enough, we feel that adding more variety in the banking department wouldn’t have hurt. However, considering the fact that Deluxino is a brand-new casino, we’re sure the team behind it is working on adding new payments as we speak. In regards to withdrawals, you can get your winnings on credit and debit cards, Neteller, PayPal or directly to your bank account. Unless you’ve won a one-of-a-kind jackpot, there are no limits to the withdrawals. The withdrawal times are rather slow – your winnings should be available on debit and credit cards in 4-7 days, Neteller and PayPal in 4-5 days, while bank transfers seem to be the slowest option (7-10 days). As you can see, Deluxino is certainly not the fastest-paying online casino, but at least there are no withdrawal limits. The variety could be improved, and we have no doubt that this will be resolved in the future. As we mentioned earlier, Deluxino is a credible and reliable operator, a claim reinforced by its two licenses. The Gibraltar Gambling Commission and the UK Gambling Commission are two of the highest governing bodies in online gambling, and their licenses carry a lot of weight. Due to this fact, you can deposit money without the fear of being scammed. Thanks to the use of advanced security and encryption software, you can rest assured that your money won’t be stolen by hackers. No matter which payment method you choose, your financial transactions will be kept under lock and key. For any problems you might experience with the site or the games or if you have a question you want to ask the casino, you can contact the support team via e-mail or a phone number. There’s also a contact form available on the Support page which is probably the fastest option. However, we strongly suggest checking the FAQ page first where you might get answers to your questions. The casino has yet to join social media sites such as Facebook, Twitter or Instagram. Major providers are socially connected these days as it offers the possibility of getting new fans quickly. Additionally, some operators have added their Facebook page on the list of support options, which is great news for players as it represents a new customer support channel. Being a new online casino in a world where dozens are emerging every day, Deluxino is doing quite well for itself. The game collection is impressive, the payment methods will do for now, the customer support area is well-covered, and most importantly, the casino is reliable and safe. With that being said, there are some negatives. First and foremost, the casino needs to improve its game library by adding table and live dealer games. Beefing up their welcome offer (25 free spins on registration) should be a priority as well, even if the free spins come with no wagering requirements. Furthermore, the phone number support line is only available for a limited time, and there’s no 24/7 live chat as well. The withdrawal times can be improved too. When it’s all said and done, Deluxino casino is a solid newcomer in the online gambling market, but it certainly doesn’t provide a deluxe experience. However, since it’s pretty young, we hope that new features will be added to the casino pretty soon and all the problems will be fixed. Until then, it’ll be considered an entry-level casino that won’t appeal to experienced players.